The jewel of Autumn. | La Rosilla - Lifestyle and food. Beautiful! 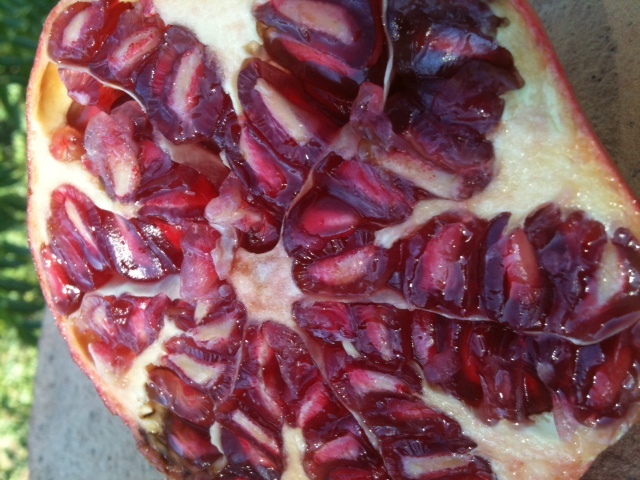 How lucky to live where you can have fresh pomegranates! And I had no idea when they were in season. It is a jewel indeed…but the backdrop in your photos make everything look a lot more beautiful than on a fruit and veg market stall in Bethnal green! Thanks for the inspiration though – the Pom Royale looks especially good! 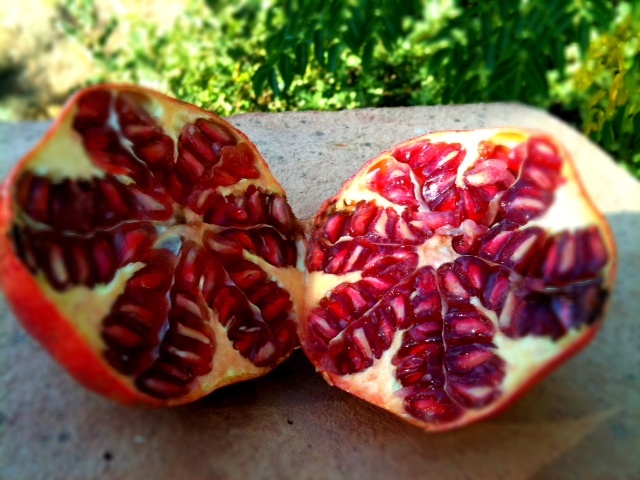 Such a holistic approach to the divine fruit and its magical beauty! We have plenty of them in our seaside orchard and they look like expensive ornaments on the trees. I so much enjoyed your well-written post and your brilliant captures. They certainly do look like christmas decorations or jewels and the colour of the skin, especially in the sunlight, is gorgeous. 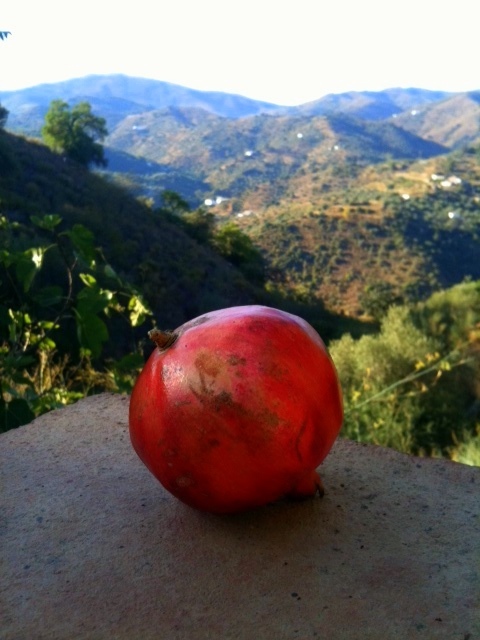 Just going to have to go for a walk around this lovely bit of Andalucia I live in and get me some to try out your recipes. The cava one sounds a great idea. A real girlie drink. Pingback: Lebanese sweet potato cakes. | La Rosilla – Lifestyle and food.